In 2016, the National Park Service (NPS) will celebrate its 100th anniversary, and radio amateurs will be able to help mark the occasion with the ARRL National Parks on the Air (NPOTA) event. The event kicks off at 0000 UTC on January 1, 2016. "As ARRL just celebrated our own Centennial, and Amateur Radio is often enjoyed in the great outdoors, it seemed fitting to devise a program to help NPS celebrate their own 100th birthday," said ARRL Media and Public Relations Manager Sean Kutzko, KX9X. NPOTA will run throughout 2016, with activity promoted and encouraged from each of the more than 430 official NPS administrative units and affiliated areas across the US. This includes all 59 National Parks as well as National Battlefields, Historic Sites, Memorials, Preserves, Reserves, Rivers, Seashores, National Scenic Trails, and other units. The program will have two participation tracks -- Chasers and Activators. Chasers will simply attempt to make contact with operators in as many of the NPS units as possible. Activators will attempt to activate as many of the units as possible. NPOTA participants may serve in both roles. Chaser and Activator totals will be tracked via an online Leader Board based on LoTW data, just as was done during the Centennial QSO Party. Access the NPOTA Leader Board directly at http://npota.arrl.org. Modeled after the Mixed DXCC award, only one contact with any given NPS unit will be required, and no tally will be kept of NPS units based on bands or modes. NPOTA will be administered entirely through Logbook of The World (LoTW). No paper logs or QSLs will be accepted for NPOTA credit. Each NPS unit will be added to LoTW as a "location." Chaser Award and Activator Award certificates will be available to any radio amateur who has at least one confirmed contact with an NPS unit or who activates at least one unit, respectively. A station's total number of confirmed or activated units will be printed on the certificate. The National Parks Honor Roll certificate will be available to any station confirming contact with at least 75 percent of the 59 National Parks activated in 2016. While there is no formal partnership between NPS and ARRL for this event, the League has been in discussions with the NPS over the past year, and the National Park Service is aware that increased Amateur Radio activity in their parks is likely during 2016. The NPOTA will use the official list of NPS Administrative Units and Affiliated Areas as defined and maintained by NPS. Complete details on National Parks on the Air are available on the ARRL website. Read more. The ARRL On-Line Auction will celebrate its 10th anniversary when it gets under way next week. The auction preview opens on Monday, October 19, at 1400 UTC, and bidding begins on Thursday, October 22, at 1400 UTC. The auction already has more than 260 items that will be up for bid, and new donations are still coming in. The 2015 auction will include QST "Product Review" gear (already ARRL Lab-tested! ), vintage books, pre-owed gear, one-of-a-kind finds, and, in honor of the event's 10th anniversary, the ARRL Lab team will contribute five "mystery boxes." Some of the premier items up for bid from the QST "Product Review" inventory will include a FlexRadio Systems FLEX-6700 transceiver, an Apache Labs ANAN-100D SDR HF/6 meter transceiver, a M2 6M-1K2 6 meter amplifier, an ACOM 600S HF linear, and a Yaesu FT-991 transceiver. Among the book offerings are three 1934 editions of R/9 Magazine, a special defense edition of The Radio Amateur's Handbook from 1942, and Radio Tube Fundamentals. Proceeds from the yearly On-Line Auction benefit ARRL education programs. These include activities to license new hams, strengthen Amateur Radio Emergency Service training, offer continuing technical and operating education, and create instructional materials. All bidders need to register. If you have participated in a past ARRL On-Line Auction, you will be able to retrieve your auction user ID and password. The ARRL has asked the FCC to make clear that Amateur Radio licensees may modify non-amateur equipment for use on Amateur Radio frequencies. Some hams have expressed concerns that recently proposed rules would inhibit post-sale modification of Wi-Fi equipment, now sometimes altered for use on Amateur Radio frequencies. The ARRL made its point in comments filed on October 8 on a Notice of Proposed Rule Making (NPRM) in ET Docket 15-170 and RM-11673. The proceeding mostly addresses proposed amendments to FCC rules regarding authorization of RF equipment. "The Commission should clarify...that the ability of licensed radio amateurs to modify and adapt non-amateur equipment for use in the Amateur Service is beneficial, is permitted, and is not restricted by any rule of general applicability adopted in this proceeding," the League said in its comments. The ARRL said proposed rules requiring manufacturers to include security features to prevent network devices from being modified were "problematic," to the extent that they would preclude hams from adapting network equipment for ham radio applications. "The Amateur Radio Service has a very long tradition of modification and adaptation of commercial communications equipment," the ARRL pointed out in its comments, asserting that amateur licensees should be permitted to modify any previously authorized equipment for use under Amateur Service rules. The proceeding attracted many comments regarding this aspect of the proceeding, although the proposed rules differ only slightly from the current rules. The ARRL also urged the FCC not to apply any limitations proposed for software defined radios to SDRs intended for use exclusively in the Amateur Radio Service, "as has been the policy for the past 10 years." An FCC Part 15B Declaration of Conformity label. proposed rules, the FCC would do away with its DoC authorization program by combining it with equipment Verification to form a so-called "Suppliers Declaration of Conformity" category of equipment authorization. Testing in an accredited laboratory would not be required, nor would database registration or third-party review. The ARRL expressed concerns that the new regime would encourage and facilitate the introduction into the US of "non-compliant unintentional emitters" and offer no oversight. In its comments, the League said hams and AM broadcasters have been victims of interference from such unintentional emitters as RF lighting ballasts "that routinely exceed the Commission's conducted emission limits." The ARRL said the solution is "not to loosen but to tighten the procedural controls over the testing and affirmative confirmations of compliance" to ensure greater compliance in conducted limits and other technical parameters that determine how much such devices contribute to ambient noise levels. The League said some RF devices, such as RF "grow lights," now subject to the more informal Verification process, should be subject to Certification, owing to their substantial interference potential. The ARRL also said there is "an urgent need" for improved labeling requirements for certain Part 15 and Part 18 devices. "Necessitating change, notably, is the fact that there are many industrial Part 18 devices sold that are neither intended nor designed for use in residential environments, but because there is no external labeling...the end user consumer is left without guidance," the ARRL said, noting that, in most cases, equipment retailers are not providing any either. A commercial lighting ballast on sale and marketed to consumers at a "big box" store. There is no FCC warning to indicate that this product may not be used for residential applications. In July, the ARRL complained to the FCC about the marketing practices of various "big box" retailers, where non-consumer-rated lighting ballasts have been mixed in with consumer ballasts and other consumer products on display with no explanatory signage. Ballasts intended for industrial applications have higher permitted conducted emission limits in the Amateur Radio HF spectrum. The League called on the FCC to include a definition in Part 18 for the term "consumer RF lighting device," to provide a way to differentiate consumer devices from those intended for industrial or commercial environments. The League also said the FCC should consider reducing its Part 15 limits for lighting devices to correspond with the Part 18 lighting device limits between 3 and 30 MHz to reduce the RFI potential of LED bulbs now being widely marketed, "before they become an aggregate problem." LED lamps operate under Part 15 rules. The ARRL said the FCC should adopt the League's new equipment-labeling proposals with respect to certain Part 15 and Part 18 equipment "in order to stop the flood of such devices intended for commercial or industrial areas only into residential areas." Read more. In what may have been record speed, AMSAT's new Fox-1A satellite received its OSCAR designation on the day of its launch. Although its FM transponder is not yet routinely active while the CubeSat undergoes commissioning, it has been operational on many passes. Right on schedule at 1249 UTC on October 8, the Atlas rocket carrying Fox-1A and 12 others lifted off from Vandenberg Air Force Base in California. AMSAT OSCAR Number Administrator Bill Tynan, W3XO, announced later that day that going forward Fox-1A would be known as AO-85. Fox-1A has been dedicated to the individual who had been at the helm of AMSAT's CubeSat projects until his death last year. An Atlas rocket blasts off from California at 1249 UTC on October 8 carrying Fox-1A and 12 other CubeSats into space. "I have been informed of the successful launch today, October 8, 2015, of the AMSAT-NA-built Fox-1A CubeSat. I am also informed that the satellite has been heard by several amateurs in various countries," Tynan said in a news release. "This successful launch comes after years of diligent and dedicated work on the part of AMSAT-NA volunteers including Tony Monteiro, AA2TX, who became a Silent Key in March 2014. It was Tony who spearheaded and guided the work on all AMSAT-NA CubeSats until his untimely passing. Thus, it is only fitting that this spacecraft be dedicated to his memory." As Tynan noted, Jerry Buxton, N0JY, took over Monteiro's post of AMSAT-NA Vice President for Engineering, and successfully completed the project through its preparation for launch. "All of those who had a part in designing, constructing, and testing Fox-1A and its various subsystems are to be congratulated for jobs well done," Tynan said. The Fox-1A Mode B (U/V) FM transponder has an uplink frequency of 435.180 MHz (67 Hz tone), and a downlink frequency of 145.980 MHz. AMSAT's Online Satellite Pass Predictions utility can determine AO-85 passes over a given location. Telemetry and a distinctive voice ID from the new CubeSat have been heard around the world, and numerous contacts have been completed during times the transponder has been open. Fox-1A/AO-85 telemetry reports -- raw and decoded -- are now available on the AMSAT website. Fox-1A employs Data Under Voice (DUV) to send 200 bps FSK telemetry data at the same time as FM audio by making use of sub-audible frequencies below 200 Hz. High-speed 9600 bps FSK also can be transmitted when the transponder is not operating for data-intensive experiments and is only active when commanded from the ground. Free FoxTelem telemetry decoder software is available to decode both DUV and high-speed telemetry. AMSAT has also posted a Fox Operating Guide. "This was a great day for AMSAT, and for satellite operators around the world," Patrick Stoddard, WD9EWK/VA7EWK, posted to the AMSAT-BB shortly after launch. "Almost 6 years to the day the AMSAT Fox project was unveiled at the 2009 AMSAT Space Symposium in Baltimore, we now have the first of a series of Fox-1 satellites in orbit. Congratulations to all who have had a hand in building and launching Fox-1A today, and thanks to everyone who has supported the Fox project over the past 6 years!" AMSAT has produced a free commemorative issue of the AMSAT Journal that highlights the Fox-1A launch success. ARRL members who are federal employees can support the ARRL by participating in the Combined Federal Campaign (CFC). Pledges during the 2014 CFC topped $45,000. CFC contributions support programs that are not funded by member dues. The CFC has generated nearly $250,000 for ARRL programs since the League became a program participant. For the past 14 years, the US Office of Personnel Management has designated the ARRL to participate in the CFC, the annual giving campaign for federal employees. Federal civilian employees, US Postal Service workers, and members of the military are eligible to take part. Similar to the United Way, the CFC encourages individuals employed in all branches of the federal government to pledge by payroll deduction to non-profit organizations of their choice. The ARRL encourages eligible radio amateurs to consider the League when designating campaign recipients. Eligible federal employees who want the ARRL to receive all or part of their payroll deductions should designate organization #10099 when completing their CFC donor forms. To ensure proper acknowledgment of the CFC contribution, they should complete a copy of the donor form to advise the CFC to release donor information to ARRL. Donors may make an unrestricted contribution or designate their contributions for any ARRL fund, including the ARRL Spectrum Defense Fund, the ARRL Legislative Issues Advocacy Fund, the ARRL Education & Technology Program, and the Historic Preservation Fund. Read more. The deadline is looming for schools, educational organizations, and groups willing and able to host an Amateur Radio contact with an International Space Station crew member to submit proposals to Amateur Radio on the International Space Station (ARISS). The window for formal and informal proposals closes on November 1. ARISS anticipates that contacts will be scheduled between July 1 and December 31, 2016. Crew schedules and ISS orbits determine exact contact dates. ARISS is seeking organizations to sponsor events that will a draw large number of participants and integrate the contact into a well-developed education plan. Organizations must demonstrate flexibility to accommodate changes in contact dates and times. 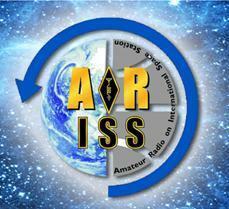 Full information on hosting an ARISS contact is available on the ARRL website. Visit the ARISS website for more information. Contact ARISS with any questions. The International Amateur Radio Union (IARU) Administrative Council (AC) has adopted a resolution calling on IARU member societies to encourage governments to recognize the importance of the Amateur Radio Service and of Amateur radio antennas. The AC held its 38th meeting on October 9 and 10 in Bali, Indonesia, in conjunction with the IARU Region 3 Conference there. The antenna resolution also called on member societies "to advocate for planning and development regulations that properly recognize the importance of an Amateur Radio antenna and do not place undue restrictions on the erection of antennas." It also urged member societies to discourage the imposition of any fees related to ham antennas, "particularly in view of the non-pecuniary nature of Amateur Radio and its popularity in the student and senior communities." The AC completed its preparations to represent Amateur Radio at World Radiocommunication Conference 2015 (WRC-15), which will take place during November in Geneva. The AC reviewed IARU positions and strategies for each WRC-15 agenda item that may affect ham radio. These included proposals for a secondary amateur allocation near 5.3 MHz. The Council also looked ahead to agenda items for the next WRC, which is anticipated for 2019. These would include an amateur allocation at 50 MHz in Region 1 (Europe and Africa) and "global harmonization" of the 1800-2000 kHz allocation. "It is anticipated that a significant effort by IARU will be needed in preparation for WRC-19 to defend the amateur allocations between 137 and 960 MHz, in light of the pressure for spectrum for small, non-amateur satellites," the AC said in a statement. "Close coordination of regional efforts will be required." In a departure from its practice of recent years, the Council adopted a continuing theme for World Amateur Radio Day each April -- "Celebrating Amateur Radio's Contribution to Society." The Council could adopt a special theme in any given year, if appropriate. Read more. Nominations are open for the 2015 ARRL International Humanitarian Award. The award is conferred upon an amateur or group of amateurs who demonstrate devotion to human welfare, peace, and international understanding through Amateur Radio. The League established the annual prize to recognize Amateur Radio operators who have used ham radio to provide extraordinary service to others in times of crisis or disaster. A committee appointed by the League's President recommends the award recipient(s) to the ARRL Board, which makes the final decision. The committee is now accepting nominations from Amateur Radio, governmental, or other organizations that have benefited from extraordinary service rendered by an Amateur Radio operator or group. Amateur Radio is one of the few telecommunication services that allow people throughout the world from all walks of life to meet and talk with each other, thereby spreading goodwill across political boundaries. The ARRL International Humanitarian Award recognizes Amateur Radio's unique role in international communication and the assistance amateurs regularly provide to people in need. All nominations and supporting materials for the 2015 ARRL International Humanitarian Award must be submitted in writing in English to ARRL International Humanitarian Award, 225 Main St, Newington, CT 06111 USA. Nominations are due by December 31, 2015. In the event that no nominations are received, the committee itself may determine a recipient or decide to make no award. The winner of the ARRL International Humanitarian Award receives an engraved plaque, and a profile in QST as well as in other ARRL venues. 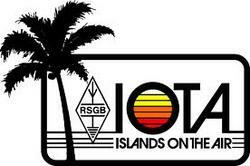 A new entity -- the IOTA Foundation -- will assume management of the Radio Society of Great Britain's (RSGB) Islands on the Air (IOTA) Program. Last year the RSGB Board identified a number of challenges facing the program, including the need to provide an online system to track and manage the submission of island credits -- similar to the ARRL's Logbook of The World (LoTW). Since then, a small group of IOTA enthusiasts has been working with the RSGB to ensure that the IOTA program continues to grow in its role of fostering Amateur Radio DXing and contest activity. The IOTA Foundation is the fruition of that work. "It will be run by IOTA enthusiasts and will manage the IOTA program in partnership with the [RSGB]," the RSGB said in a news release. "One major task for the new organization will be to develop a new online credit system that is due to be completed in 2017." The team of RSGB IOTA Manager Roger Balister, G3KMA; Bob Barden, MD0CCE; Cezar Trifu, VE3LYC, and Johan Willemsen, PA3EXX, will implement the IT changes and form the IOTA Foundation with representation from radio amateurs in the UK and around the world. "I am delighted with the news announced by the RSGB about the future of IOTA -- that...terms of agreement have been fleshed out for the program to be run by a new body in partnership with the RSGB," Balister said on October 12. "I have to thank the RSGB Board for acknowledging that the future sustainability of IOTA is of paramount importance to thousands of amateurs worldwide and that this must be the overriding consideration." Read more. As it has done in past years, the Parachute Mobile group -- "in the air, on the air" -- has scheduled jumps for October 17 in association with Pacificon, the ARRL Pacific Division Convention, in San Ramon, California. "We do this every year, giving visiting hams a chance for a unique parachute mobile QSO," said Mark Meltzer, AF6IM, who will be Jumper 1. This will be Mission 22. As Jumper 1, Meltzer will be operating on 10 meters (28.425 MHz USB) and 2 meters (146.43 MHz FM simplex), hoping for a DX contact. Jumper 2, Michael Gregg, KF6WRW, will be on 146.43 MHz FM simplex as well as 5 GHz ATV, which will be streamed live. Jumper 3, Rob Fenn, KC6TYD, will be on 146.43 MHz FM simplex. 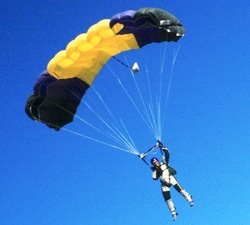 Jumper 4, Capt Jim Wilson, RCAF, will be shooting in-flight video and photos. He is studying for his Canadian ham license and will be making radio jumps soon. Just as in previous solar cycles, geomagnetic indicators are high, as the cycle trends downward. From last week to this, the average daily planetary A index went from 24.3 to 25.1, and the average mid-latitude A index moved from 15.7 to 17.6. Predicted solar flux is 90 on October 15; 100 on October 16; 110 on October 17-18; 115 on October 19; 110 on October 20-21; 120 on October 22-24; 125 on October 25-26; then 130, 120, and 110 on October 27-29; 100, 90, and 85 on October 30-November 1; 80 on November 2-6; 85 on November 7-8, and 90 on November 9-11. Solar flux then rises to 130 on November 23 and drops below 100 after November 26. Predicted planetary A index is 18 on October 15-16; then 15 and 12 on October 17-18; 8 on October 19-20; 5 on October 21-27; then 8, 12, and 10 on October 28-30; 8 on October 31-November 2; 20 on November 3; 15 on November 4-5; then 12, 8, 20, 15, and 18 on November 6-10; 20 on November 11-12; 15 on November 13, and 8 on November 14-18.